New Paper Clips on my Shop. 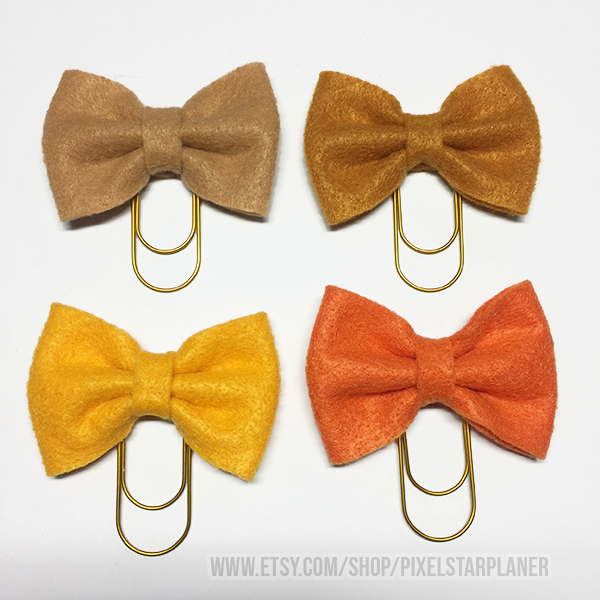 Hey guys, I just wanted to get on here really quick and let you know that I have new paper clips on my etsy shop, these are perfect for fall season. The colors are beautiful, I had to make one of each for myself. These are hand made, please check out my shop the name is PixelStarPlanner, the link is on the sidebar to the left. Don’t forget: I’m having a 40% OFF on all SUMMER Items over at my Etsy Shop don’t forget to check it out. I will be adding a new free printable on Wednesday so make sure you come back to check it out! More fall stickers coming and I will be uploading Die Cuts to our Facebook group so make sure to join, for more freebies!